Faster internet connectivity is what has become one of the essential requirements in today’s digital life. Of course, providing the fastest internet is the prerogative of the ISP you have chosen. However, choosing the best available ISP in your region is only half of what you can achieve the task. If you want to enjoy high-speed internet, you need to invest in a good quality router as well. How about checking out a few good routers that can help you achieve that goal? 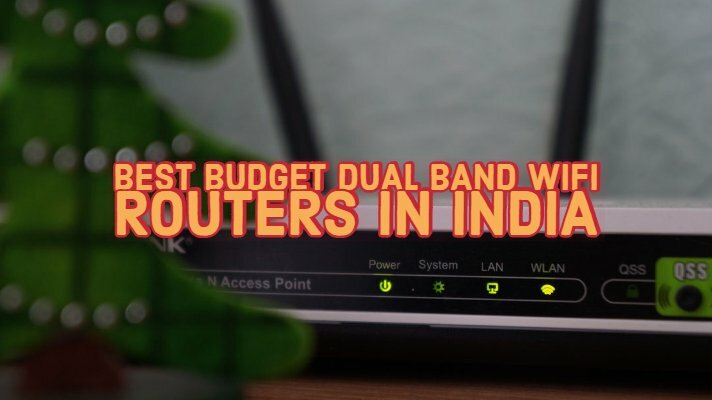 We will check out a few budget Dual Band WiFi Routers in India. 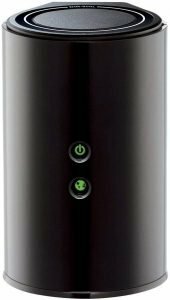 If you are not tech savvy enough, it may not be easy to understand the technical jargon and find the best routers with the dual-band functionality. That is precisely why it is essential to understand the difference between the best WiFi standards. What is the difference between 802.11n and 802.11ac? The 802.11n is an outdated standard that utilizes the 2.4 GHz frequency band for transmitting data. In fact, it is the same frequency that most other devices in your home use. This can be a major reason for interference, and thus your performance may be adversely affected. The 802.11ac standard works on 5 GHz and performs an 80 to 160 MHz frequency in sharp contrast to the 40 MHz bonded channel standard used by the 802.11n standard. Other technical details apart, an 802.11ac standard will ensure that you have access to 8 times better speed performance in comparison to the 802.11n standard. 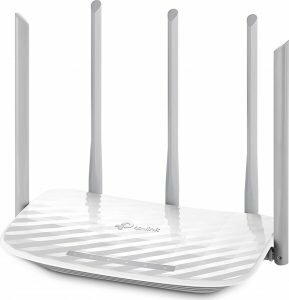 The router comes with five antennas of which two work with the 2.4 GHz frequency, while the three other work on the 5 GHz frequency. The router has an RJ45 Ethernet port and four LAN ports. The router offers you advanced features like parental control and guest network functionality. It is well integrated with the tether app for easy management of your router. The ease of configuration and a considerable god coverage should make it a good option for high-speed internet. If you think you should give it a try, check it out at Amazon. It is equipped with four 5 DBi external high gain antenna; the tends AC6 comes with a 90 percent transmission efficiency. It offers you a processing speed that is three times better than the regular breed of routers. It offers you excellent hub support for faster network performance. It supports an 802.11ac WiFi standard, thus ensuring 2.4 and 5 GHz rates of 1167 Mbps speed. The high-quality Broadcom chipset provides you access to better compatibility and high CPU frequency up to 900 MHz. If you find that interesting, check out the router at Amazon. Now that we are discussing the dual-band routers and how can we forget the most active player in the realm, Netgear? It offers you an excellent dual band performance with 802.11ac and an affordable price tag. It offers you all the necessary connectivity options. Connect with as many WiFi devices as you would want to with the AC WiFi technology. It is gigabit wired with access to HD video and gaming for an excellent HD performance. Advanced QoS functionality for the smoother HD streaming and gaming performance. A host of security features including parental control, guest network access and secure WiFi connectivity. In case you are interested in it, why not check out the option at Amazon. If looks are what impress you much, the D-Link DIR 850L should be the prime choice you would want to go with. It offers you the next-gen wireless technology. Of course, it does not mean looks alone do matter for the router. The looks are lovely with its cylindrical shape and glossy exterior. It offers you faster performance with the dual bands at 300 and 867 Mbps. The router offers you one gigabit WAN and four Gigabit LAN ports. The D-Link router comes with WPA/WPA2 security. The D-Link SharePort mobile app for iOS and Android helps you connect with external devices connected with USB. Want to know more about the router? Check it out at Amazon. 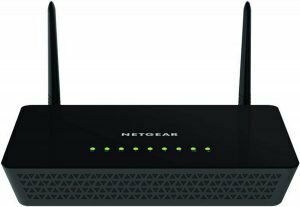 Looking for an affordable option for the best dual band router? 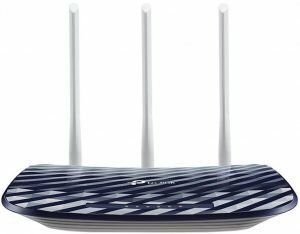 The TP-Link Archer C20 AC750 Wireless Dual Band Router is the right choice for you. Empowered with the next-gen 802.11ac connectivity option, it offers you speeds three times better than the standard routers with the 802.11n standard. It offers you several security protocols like guest network and secured WiFi access. The router offers you the IPV6 support for the next generation future proof network. The TP-Link Tether app will bring you to the ease of managing your router with simple and smooth functionality. The router is quite easy to set up and configure. Check out the router and its performance at Amazon. Well, those were a few excellent options for the dual-band routers you can choose for an enhanced experience in terms of the best internet speeds. Though this list may not be completely conclusive, it will offer you an insight into what you can expect from dual-band performers. 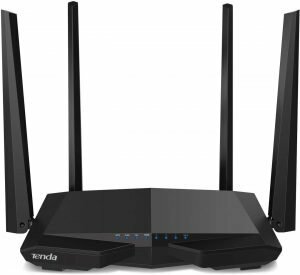 What do you think about the options available for the best dual-band routers? Which among them would you prefer for your needs in an enhanced internet experience? Share your thoughts with us.